You can not time the market based on valuations, but you can predict future long-term returns. Dr. Hussman is a stock market valuations guru. He is an economist turned fund manager. The big difference between economist and fund managers is the economist can have a terrible track record and no one knows. But a fund manager has those investment returns to account for. This simple fact forces a respectable fund manager to determine where his models went wrong instead of telling everyone something is wrong with the real world for not following his models like economist tend to do. As for economist track record, see our old post on Forecasting Optimism. Dr. Hussman’s timing models had a great track record up until the financial crisis. As all models do, there are assumptions built-in. What happened after the financial crisis was that one of the assumptions was no longer true. That assumption was that the free-markets were setting the prices. Why? Because after the financial crisis the central banks stepped in to set the most important price in a capitalistic system – the price of money via interest rates. But just lowering the Fed Funds rate was not enough for the banking class. So the central banks decided to intervene directly in the markets buying up financial assets at whatever price from money created out-of-thin-air. This included stocks, corporate bonds, government bonds, and indirectly houses. They called it Quantative Easing. It sounds harmless but we haven’t seen the blow back yet. While his old assumption negatively impacted Dr. Hussman’s returns this cycle, his valuation models are still valid. Which brings us to Dr. Hussman’s valuation models today. 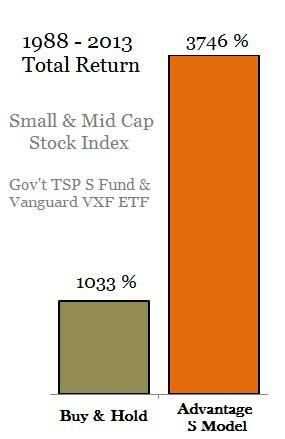 Folks, it doesn’t look good for the TSP equity funds and all those private pension funds expecting and needing to earn 7% the next 10 years. Let’s start with one of Hussman’s straight forward models – comparing SP500 price to SP500 revenue. I added the notes in blue. The green vertical line shows where the SP500 Price/Revenue ratio is today – never been higher. So based on historical data you can expect to earn a whopping 0% to minus 7% annualized over the next 10 years. How does that fit in with the market euphoria narrative the financial media promotes? Remember, before there was “fake news” there was “financial news”. Now this is not the only valuation model with a track record with a correlation of around 90% to predicting long term returns. Here are five – all in the same ball park are. No market cycle in history – not even those of recent decades, nor those associated with low interest rates – has ended without taking our most reliable measures of valuation to less than half of their late-January levels. In other words, if the market matches the best-case outcome from history then today’s market valuations needs to come down 55%. This would match the 2009 market low in terms of valuations for a bear market. This reset requires either a 55% drop in the SP500 (TSP C fund) with earnings holding up (never happens in bear markets so it could lose more) or earnings need to climb 120% which is frankly impossible with record profit margins, record corporate debt, 10-years into a so-called recovery with low consumer savings and high credit card debt. What about a stronger economy and rising wages? Dr. Hussman provides an interesting stat. If unemployment drops all the way to 0%, then the economy would only grow 0.8% faster. But that would come with higher wage inflation. Since depressed wage inflation is the reason corporate profit margins are high this cycle, the market can not have its cake and eat it too with high profit margins and high wages. Note the correlation between wages and profits (inverted) in the next chart. Was Roger Babson clairvoyant in his speech at the National Business Conference two days after the 1929 market peak? No, Mr. Babson started his speech with “I’m about to repeat what I said at this time last year, and the year before…” Meaning there are those who recognize bubbles and market distortions but can not predict when investors in aggregate will begin pricing it in or panic. The stock market doubled after his first prediction two years prior so who would listen to such nonsense at a euphoric market top. They would listen when 2 years of market gains were wiped out 10 weeks later! The market ultimately lost 89% of its value. To put that into perspective, the market required a 900% gain to break even. We won’t get the 1929 and 1987 type crashes today with all the market exchange circuit breakers, over-active central banks and the famous plunge protection team. But we can and will get the kind of future returns that Dr. Hussman and others predict. And remember, a 50% loss would be the best historical outcome in the last 100 years. As for timing, we will stick with our indicators of investor risk preferences. And at these historically high valuation levels we will lean toward being defensive. As to how we got to these levels of distortion, stay tuned. And don’t forget to review Forecasting Optimism.